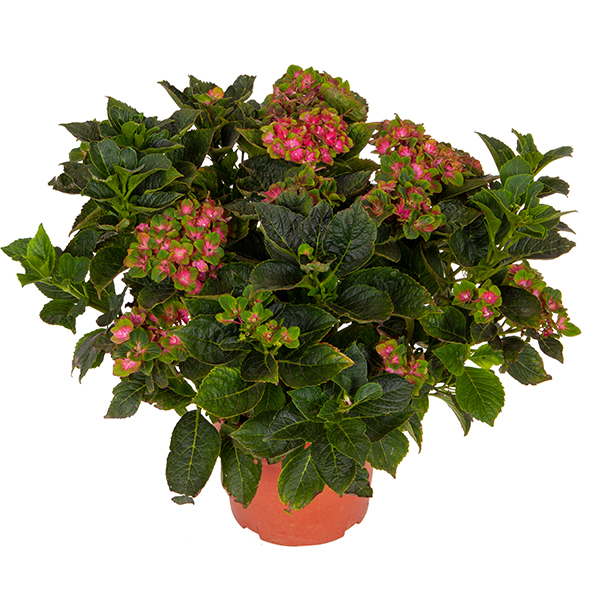 This new take on the traditional mop-head hydrangea has incredibly vivid flower heads, made up of multiple individual florets. 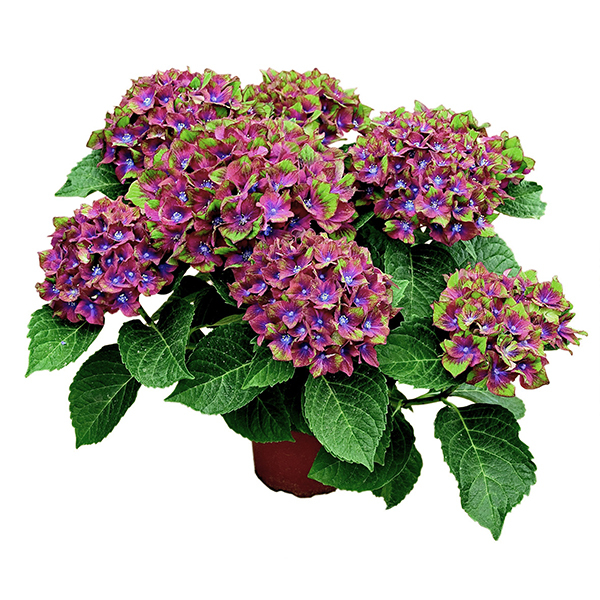 Each one is a jaw-dropping pink-red, with a bright blue centre, and tipped with lime green. 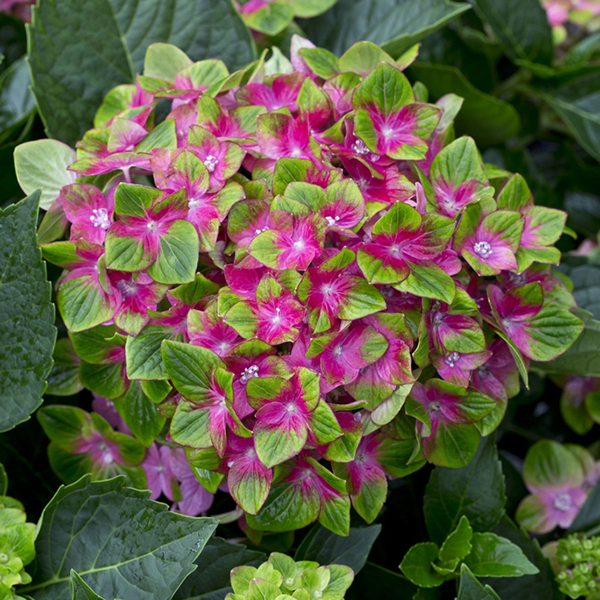 These highly unusual plants will really stand out in a border or pot on your patio. 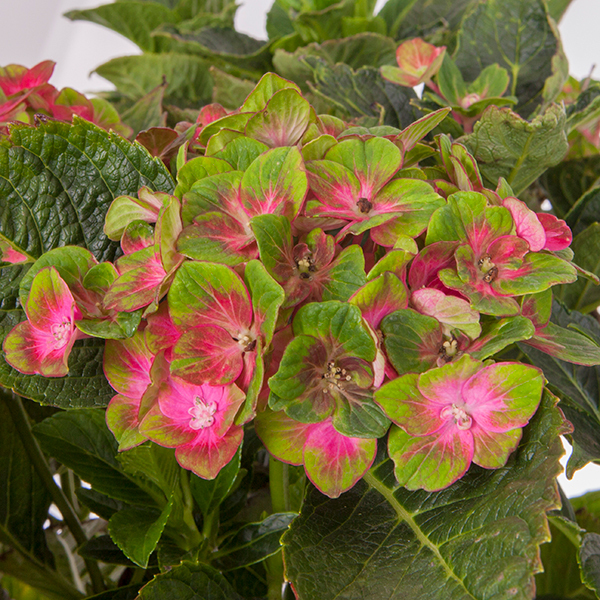 Depending on the acidity of the soil they are planted in, the colours can vary - so why not plant them in different soils for vibrant and varied displays? They are beautiful but incredibly tough and fully UK winter hardy.